Since 1995, the US has initiated six dispute cases against India while India has initiated ten cases against the US. However, there are only two active US-initiated cases against India. India is one of the countries most affected by the US’ use of anti-dumping (AD) measures at the World Trade Organisation (WTO), a recent review of US’ trade policy reveals. The US remains an “active user” of trade defensive instruments like initiating AD measures with 85 investigation initiations between 2014 and end-June 2016, the US’ trade policy review (TPR) report compiled by the WTO secretariat states. Most of these initiations were in the steel industry. The TPR was held on 19 and 21 December at the WTO headquarters in Geneva with more than 60 delegations taking the floor to comment or providing written statements on US’ trade measures. Dumping is a situation where the price of a product when sold in the importing country is less than the price of that product in the market of the exporting country. In the simplest of cases, it is identified by comparing the prices in the two markets. There were 269 AD orders in place as of 30 June 2016. The trading partners most affected by US-initiated AD measures were India, China, the EU, Japan, South Korea, and Taiwan, Penghu, Kinmen and Matsu (Chinese Taipei) among the separate customs territory. TPRs are mandated in WTO agreements, in which member countries' trade and related policies are examined and evaluated at regular intervals. All WTO members are subject to review, with the frequency of review depending on the country's size. The average duration of an AD measure in place at the end of 2015 was seven years. There were 60 countervailing duty (CVD) investigations initiated between January 2014 and June 2016 and a total of 69 CVD orders were in place in late June 2016. Many countries stressed at the TPR meetings that the US was a “particularly active” user of anti‑dumping and countervailing measures, that certain methodologies applied by the US were disputed, and that the continued extension of such measures in many cases were unwarranted. Additionally, intellectual property (IP) protection “is a key issue for the US and enforcement is sought through a variety of mechanisms, such as bilateral IP agreements and investment treaties, and free trade agreements”, says the secretariat report. In 2015, net receipts for the US from IP protection were $85.2 billion. IP was present in some 52 percent of US goods exports and IP-intensive industries in the US accounted for 38.2 percent of the country’s GDP. The US also pursues IP protection through such vehicles as the annual Special 301 report -- a Congressionally-mandated annual report that has been issued every year beginning in 1989 and identifies trade barriers to US companies and products in foreign shores due the host country’s intellectual property laws, including trade marks, patents, copyright, trade secrets etc. In the 2016 - 301 report, 34 US trading partners were listed: 11 on the Priority Watch List (PWL), including India, and 23 on the Watch List. PWL is defined as a trading partner with "serious intellectual property rights deficiencies" that require increased attention of the US Trade Representative. The Notorious Markets List, published separately from the 301 report, "identifies selected markets facilitating substantial copyright piracy and trademark counterfeiting. Investigations are carried out through Section 337 of the Tariff Act of 1930" -- which declares unlawful the importation into the US of articles that infringe a valid US patent, registered trademark, registered copyright, registered mask work, or vessel hull design. In three and a half years, beginning January 2013, 144 new Section 337 investigations have been instituted covering products from 31 trading partners. The US in its report said that Doha Development Agenda (DDA) was at an “impasse” and reiterated that the “moment had come to move on from the DDA given its limited results and multiple failures in 14 years of negotiations”. “…the United States expects that future discussions in the WTO will focus on developing new approaches and taking up new issues in negotiations, without being constrained by the DDA architecture established over 15 years ago,” Washington’s report to the WTO, for its TPR, states. India, along with the G-33 group of developing countries wants a permanent solution to the food security issue under DDA—an issue that has been a stumbling block for the Doha round. In 2014, India had threatened to block the Trade Facilitation Agreement—of much interest to developed countries like the US for accessing markets in countries like India—if food security issues were not addressed. India softened its stand later and ratified the TFA this year. However, the public-stockholding-for-food-security issue of the DDA remains a crucial livelihood issue for millions of farmers in the country which richer nations like the US are reluctant to take up. During the TPR meetings, member states also pointed out that the high subsidies the US provided for products such as soybeans, cotton, sugar, and dairy had a negative impact on more competitive producers. Other specific questions were raised regarding the credit mechanism for agricultural exports and the recent use of special safeguards on imports, the chairperson said at the TPR meeting on 21 December. Washington has also been one of the world's most frequent users of dispute settlement procedures of the multilateral trade organization. 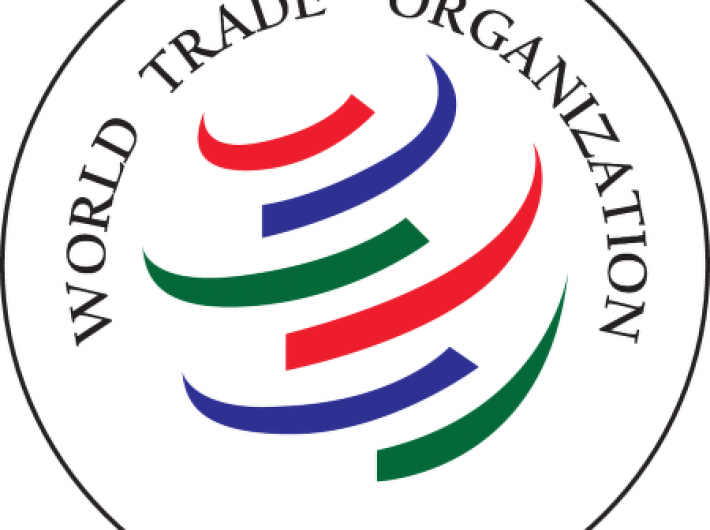 The US has, till date, filed 117 complaints at the WTO, "successfully concluding 78 of them by settling 31 cases favourably and prevailing in 47 others through litigation before WTO panels and the Appellate Body", the report says. “The United States has obtained favourable settlements and rulings in virtually all sectors, including manufacturing, intellectual property, agriculture, and services,” it adds. Since 1995, the US has initiated six dispute cases against India while India has initiated ten cases against the US. However, there are only two active US-initiated cases against India. Similarly, only two cases of India against the US are active under the dispute settlement system — one, over US non-immigrant temporary working visas and second, a dispute of US' imposition of countervailing duties on import of certain Indian hot-rolled steel flat products. Canada, the EU, China, Mexico, and Japan remain US’ main trading partners for both goods and services. “The US trade and investment relationship with the EU is the largest and most complex economic relationship in the world, with transatlantic trade in goods and services averaging over $3 billion each day during 2015. The total stock of transatlantic direct investment was worth $4.6 trillion in 2015,” the US said. The country remains the world's top destination for foreign direct investment, with total inflows of $348.4 billion in 2015. The primary contributor to real growth since 2014 has been consumer spending. The US is the world's top importer, and the second leading exporter, of goods and services. This is the US’ 13th TPR.